Add a contemporary twist to your neckline with this rose gold PVD pendant. Graphic pavé in a moody gray shade accompanies carbon fiber-effect patterning. A masculine and bold finish to your look. 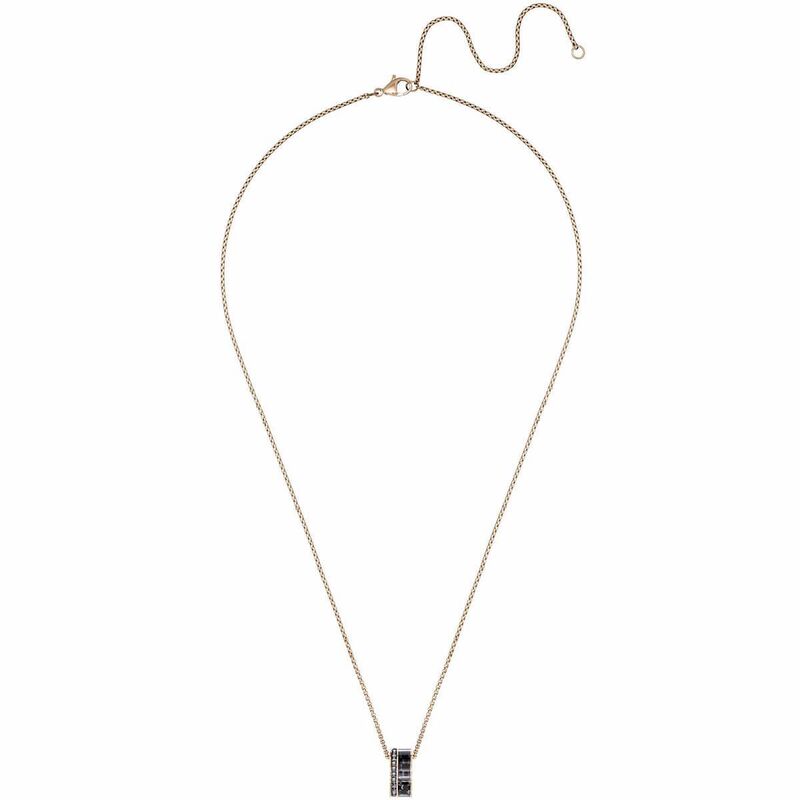 The pendant comes on a rose gold-plated chain.